The field is set for this weekend’s NCAA women’s basketball Final Four. Here’s a quick look at how the field emerged from the Elite Eight. Every so often a player comes to a program who is able just by the force of her talent to take her team to a place it’s never been before. Oregon has one in junior All-American Sabrina Ionescu. The guard showed her worth to the Ducks again against Mississippi State, a program that had been a national finalist the last two seasons and one the Ducks had already defeated in the regular season. With just over a minute to play Sunday and Oregon holding on to a three-point lead, the Pac-12 player of the year came off a screen and canned a step-back three to give her team what proved an insurmountable six-point lead. “That was going in regardless,” Ionescu said. “No other way to say it. I wanted to finish this game off the right way. We’ve come so far. We played so hard that entire game. I knew it was my time to hit a big-time shot. And because of it, because of her, because of the 13 three-pointers they made, the Ducks will now play in their first Final Four after being bounced in the Elite Eight the last two seasons. What helped the Ducks against the Bulldogs was playing in their home state. A crowd of 11,500 turned out and carried the team to the finish line. “All I’ve got to say is we’re not done yet,” Ionescu said. “Of course, we’re going to be happy, but we’re not going to be pleased with how far we’ve gotten. I think that’s one of the reasons we didn’t necessarily set one goal before the season. I know we got a lot of critiques for that. Ionescu scored 14 of her 31 points in the fourth quarter. 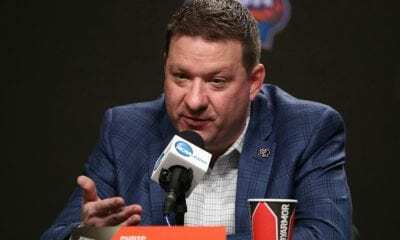 No Duck had ever scored as many in an NCAA Tournament game.”It kind of reminded me of that Virginia game last night against Purdue,” Oregon coach Kelly Graves said of the men’s Elite Eight game. “Two really good teams. They were making shots. It was like a heavyweight fight. We just kept getting back up off the canvas and battling some more. 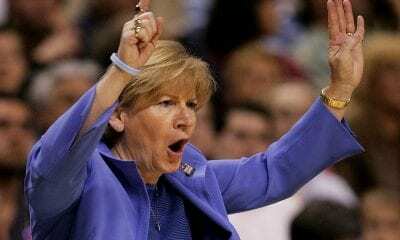 In the history of women’s college basketball, there has never been a program as prolific as UConn. Since the Huskies won their first national championship with Rebecca Lobo in 1995, the program has been synonymous with success – consistent, unrelenting dominance. So you can understand why some were somewhat astonished by the NCAA selection committee when it anointed the Huskies a two seed behind Louisville, even though the Cardinals earned it by defeating them during the regular season. And you know what Louisville was thinking: How dangerous would UConn be in an Elite Eight game armed with the underdog status? 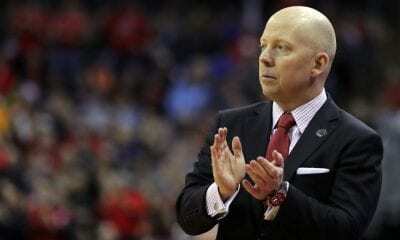 The Cardinals found out on Sunday when the Huskies got their revenge and earned their 12th straight Final Four appearance and 20th overall. Like we said, UConn is dynastic in a way not even John Wooden could have imagined. At the center of their attack was senior Katie Lou Samuelson. Sidelined early in the postseason with back problems, she made seven threes and led the Huskies with 29 points. Samuelson has been teamed all season with senior Napheesa Collier, who was named a first-team All-American by the Associated Press on Monday. Collier scored 12 points with 13 rebounds and six assists. Collier and Samuelson are third and fifth among UConn’s all-time scorers. After losing in the national semifinals the last two years, the Huskies will be chasing their 12th national championship. 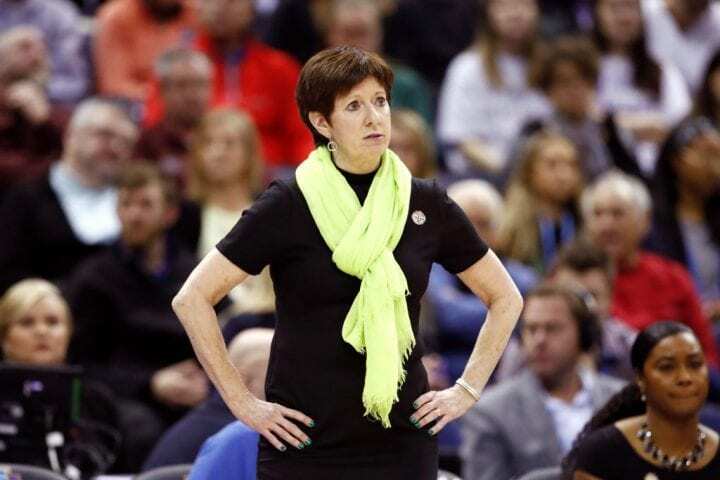 This was a classic matchup of two of the game’s pillar programs, coached by two iconic Hall of Famers, Notre Dame’s Muffet McGraw and Stanford’s Tara VanDerveer. But the Irish made it a runaway with their strong second half. Notre Dame found out before the game it had no first-team AP All-Americans, despite having the most productive starting five in the history of the game. And that just added juice as the defending national champion worked its way back to another Final Four. Notre Dame’s starting five of Arike Ogunbowale, Jessica Shepard, Brianna Turner, Marina Mabrey and Jackie Young became the first group in NCAA history – men or women – to score at least 10,000 points in their careers. So it was no surprise that the Irish came into the game leading the nation in scoring (89.2). On Monday, Young led the way with 25 points (19 in the second half) and 10 rebounds, but the Irish spent most of the first half fighting back from behind (they trailed 33-26 at the half) against a Cardinal team that had won 12 straight. Much like Oregon, Notre Dame was boosted by a predominately home crowd in Chicago. And it just helped their level of play in the second half. Ogunbowale, last year’s Final Four hero, scored 21 points. She had 55 points at the regional and was named its MVP. “I feel like the Elite Eight game is always the hardest one,” Mabrey said. The nation’s No. 1 team, the top overall seed in the NCAA Tournament, played like it on Monday, hammering the determined, but undermanned Hawkeyes. This will be Baylor’s first trip back to the Final Four since it became the first team in the history of college basketball to go 40-0 on the way to winning the national championship in 2012 with Brittney Griner and Odyssey Sims. Baylor comes to the Final Four with a 27-game winning streak and four NCAA Tournament wins of at least 25 points. Its average margin of victory has been 38.3 points. Only two other teams – UConn in 2010 and 2013 – have done that since the women expanded to 64 teams in 1994. Both won the championship. To beat Iowa the Lady Bears needed to first neutralize Iowa star center Megan Gustafson, the nation’s leading scorer and field goal percentage (70 percent) shooter. Gustafson had 23 points, but was 9-of-17 from the field. What has made Baylor so tough this season has been its tall front line led by 6-foot-7 center Kalani Brown and 6-foot-4 forward Lauren Cox. Cox had 22 points and 11 rebounds, her second straight double-double in tournament play. Guard DiDi Richards had 16 points and Brown added 14 points, seven rebounds and three blocked shots. Gustafson didn’t get a lot of help against the nation’s top defensive team. 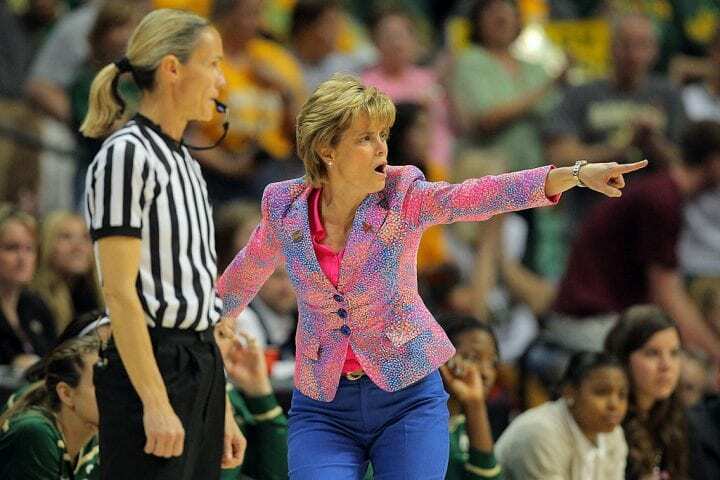 Iowa, the nation’s leader in field goal percentage (52.0), shot a season-low 32.1 percent.”She’s (Cox) got that little bit of oomph in her,” Mulkey said.